hope your fine? Today I wanna show you a card using my new fairy-stamp from „Lili of the Valley“. I’d like to enter my card to the May Lili of the Valley monthly challenge! deine Karte ist ganz bezaubernd gestaltet. Das Motiv finde ich sehr schön und richtig süß. Ich wünsche dir noch einen Abend. 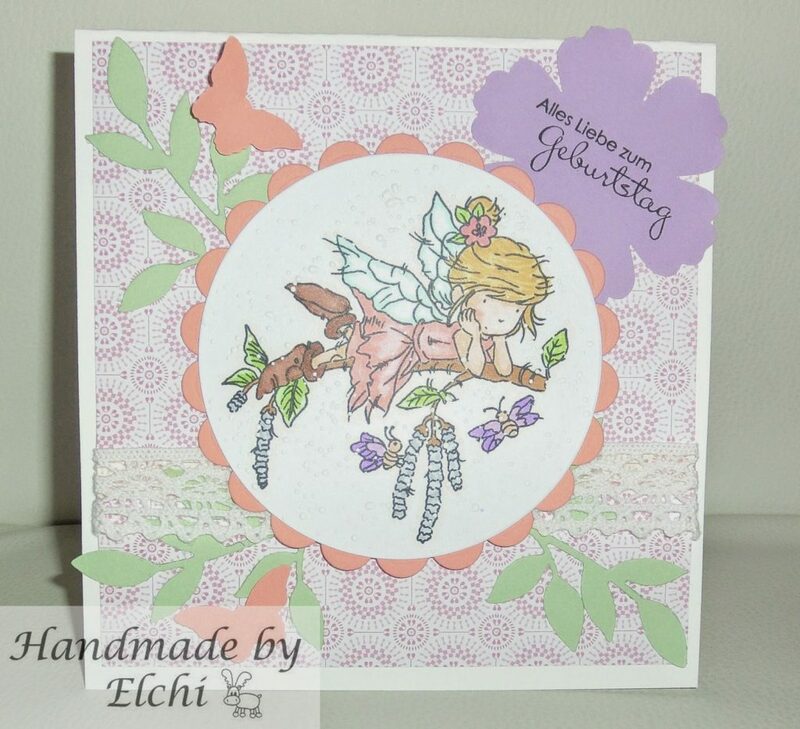 Very pretty card Elchi, thanks for entering our fairy challenge this month.